Constructor’s expertise makes fur trader’s cold storage safer and more efficient. Kopenhagen Fur is the world’s largest fur auction house, and export of fur skin is a fast-growing aspect of its business, with around 29 million fur skins graded and stored in a typical season. To be able to store more boxes in the existing space, Kopenhagen Fur adopted vacuum packing for fur skins In 2017 – a move that also ensures the skins are better protected against a range of environmental factors, including temperatures and humidity. 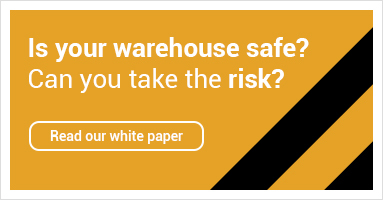 This presented further opportunities for Constructor to assess and optimise warehousing space, and make storage and picking more efficient. With vacuum packing allowing storage in warmer conditions, Kopenhagen Fur’s new installations can function like manual mini-load systems. With this handling process often involving heavy lifting and awkward picking positions, Constructor has also played an important part in ensuring sorters’ comfort and safety. With ten years’ experience working closely with Kopenhagen Fur on continuous improvements to packing efficiency and ergonomics, Constructor knew exactly what to provide. The first installation involved installing Teflon tape on the edge of the storage rails to reduce friction, thus making handling easier. Then, with the next storage system being over twice as high as the first system, Constructor designed and installed a bespoke profile with integrated rollers to expedite handling and picking. Kopenhagen Fur is co-owned by a cooperative of 1,500 Danish fur farmers committed to upholding sustainability, and is al centre of the international fur skin trade. The business exports to Europe and Asia, with it largest export markets Hong Kong Island and mainland China.